In 2002, Tomi Mills formed the Kids Inspiring Kids organization to help youth in Texas, USA. Then, in January 2005, she took a leap of faith by selling all but two suitcases of her possessions and flying to Uganda, East Africa, to see what type of missionary work she could conduct. Upon arriving in Uganda, she began working for a non-governmental organization (NGO), which ultimately ended up stranding her in war-torn northern Uganda. Here, she witnessed firsthand the devastation caused on the Acholi people by civil war and the rebel army of Joseph Kony. Gunfire could be heard within just hundreds of feet from her camp. She saw thousands of refugees starving to death in internally displaced persons (IDP) camps, most of which were children. It was here in these moments of tribulation that Tomi saw her calling to work with the Ugandan people. Upon returning to the capital city of Kampala in southern Uganda, Tomi lived with a native Ugandan family consisting of fourteen people living in a 3-bedroom masonry home without running water. She learned to appreciate the lives and culture of the native Ugandans, and decided at that point to start her own non-governmental charitable organization (NGO). Tomi's daughter, Nicole, traveled to Uganda in 2006 to assist in the transformation of the Kids Inspiring Kids organization from a Texas youth organization into a Ugandan refugee missionary organization. Upon discovering the Banda Acholi Quarters in Kampala, their mission was quickly realized. This makeshift refugee camp was the home to thousands of refugees, mostly Acholi, that had fled the bloodshed of northern Uganda to safety in the city. However, even though they found safety, these people still struggled greatly to find food, shelter, and contentedness. Over the years, the Kids Inspiring Kids organization has focused on about 3000 refugees in the ghetto through various enrichment programs to help the families and children with supplies of food and clothing, character training, services, job training, language skills, behavior skills, and school fees. Now the focus is on creating these precious people a new village to call their own. The Place of Refuge Village project is the realization of a long-standing dream to provide a new home for current and future generations of refugees. Kids Inspiring Kids is a 501(c)(3) charitable organization and an international non-governmental organization (NGO). All donations to Kids Inspiring Kids are tax-deductible. The organization is overseen by a board of directors and also has oversight from the International Fellowship of Ministries. Tomi and her volunteer network have worked tirelessly on instilling these refugees with a strong work ethic, character values, and numerous life skills. Honor: Public respect for yourself and others. Excellence: The mightiest and best – even when no one is looking. Kindness: What you do for others that helps them. Truthfulness: Saying and doing the facts. Obedience: To follow the commands of someone or something. Forgiveness: To give someone relief from payment of something. Justice: To do what is right and lawful. Generosity: Someone who gives liberally. Mercy: Kindness shown even when you have a right to punish them. Goodness: Pleasing to others in a way that benefits them. Strength: Power either physical, mental or moral. Courage: To stand up in hard times and danger without fear. Orderliness: Tidiness in actions, thoughts, deeds. Temperance: Self-control over your body and mind. Fortitude: Guts – what’s on the inside (even under temptation). Attentiveness: Always being careful to watch what’s important and act nice. A character training program for hundreds of children is held weekly, with Kids Inspiring Kids providing not only a meaningful message but also basic medical supplies and a hot meal to the children. A life-skills program led by K for the village women has transformed many lives over the years. They named themselves the Jeremiah Women because Jeremiah was a prophet of hope. Over the years, Kids Inspiring Kids has provided the fees for hundreds of children to attend school, which is not a free service in Uganda. In addition, Kids Inspiring Kids has provided ongoing mentoring of children to learn valuable life skills to help with their future survival and success. Tomi originally founded the Kids Inspiring Kids 501(c)(3) organization in 2002 to help youth in Texas. In 2005, she decided to take a leap of faith by selling her possessions and moving to Uganda to serve in whatever missionary capacity was needed. In 2006, she identified her calling to help the Acholi people and made Kids Inspiring Kids a non-governmental organization. In addition to having two biological twin daughters in the United States, she has adopted three Uganda daughters and raised another Uganda foster daughter. Today, she resides in Uganda with these four Ugandan daughters and serves as the director of Kids Inspiring Kids, overseeing the building the Place of Refuge Village. 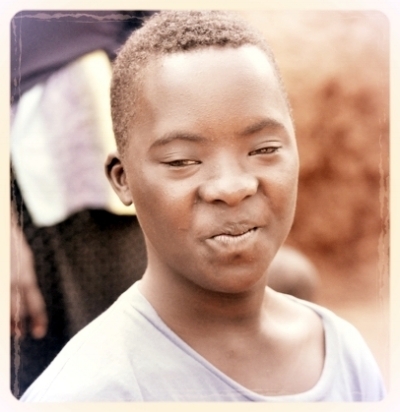 Tomi's position is fully funded through a network of existing generous donors to Kids Inspiring Kids. She can be most easily contacted through email at tomi@kidsinspiringkids.org or through our social media sites. Nicole is one of Tomi's twin daughters and serves as the Public Relations director for Kids Inspiring Kids. She resides in the Tampa, Florida area. Nicole was instrumental in the formation of the Kids Inspiring Kids. In addition to living in Uganda for a year, she has made several subsequent trips there to serve with the organization. Her current role with the organization is to manage the social media sites and public relations, assist with fundraising and presentations, and to be a contact in the US for questions related to Kids Inspiring Kids. She is available for presentations or questions at 813.804.8000 or at nicole@kidsinspiringkids.org. After having four biological children, Ryan and Jen ultimately adopted two children in need of forever homes from Uganda in 2015. While in Uganda, they volunteered with Kids Inspiring Kids and fell in love Tomi’s family, the Acholi people, and the Place of Refuge Village project. Through that experience, Ryan and Jen committed their help to making the village construction a reality. They raise their busy family in central Nebraska, where Ryan works full-time as a medical oncologist and Jen works part-time as a pharmacist. They volunteer their time as fundraisers for the Kids Inspiring Kids village project. They have also chosen to be significant financial supporters of the project, and would be happy to discuss with any potential donor their level of trust and commitment to Kids Inspiring Kids. Contact them directly for donation questions or for a presentation at 402-670-2620 or at ryan@kidsinspiringkids.org.